WELCOME TO APPLIED DISCRETE MATHEMATICS. (but you can still have fun in the class). Sign up for one to one tutoring on this page (click Enter the online tutor signup system) on the upper right. 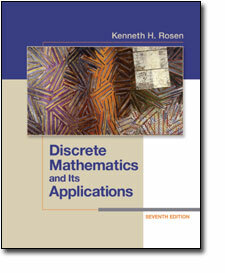 Required: Discrete Mathematics and its Applications (Seventh edition) by Kenneth Rosen (We should have a custom paperback in the bookstore for about half price). Caution: the Sixth edition has completely different homework problems and chapter organization. 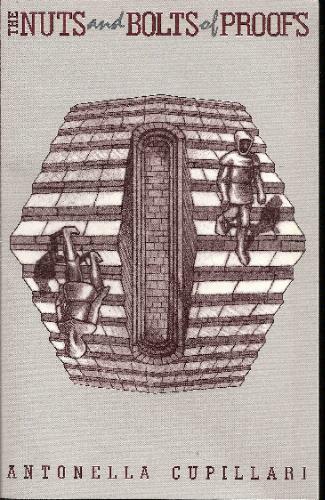 Note, you can rent or buy the ebook version at Amazon. There is webforum for the class. You are responsible for keeping up with the webforum regularly, and I appreciate it if you use it for as much class-related stuff as you can. For each week, I will list what part of the book we are addressing and what you should look into to prepare for the quiz. Solutions will be posted on the webforum. Below is the expected syllabus for this course to give you an idea of which topics will be discussed when. We may deviate a bit from this. What we are really doing will be in the section following. The assignments for the course will not be graded, but students are expected to study the solutions posted for each homework assignment and to be ready to use that material for the weekly quizzes (historically, quiz problems have often come from the homework). I will post solutions here or in the webforum. The homework will always cover the new topics that will appear in that week's quiz (old topics from previous weeks can always be revisted---and probably will if the class doesn't do well on a particular problem). There will be weekly in-class quizzes and a final exam. For those opting for a letter grade, the quizzes will account for 40% and the final 50%.The last 10% is fudge factor and participation. Please feel free to tell either the professor or the TAs about any comments or suggestions you might have about how to improve the class. The best way to do this is by electronic mail. You may also broadcast your opinions by using the webforum.